Growing Conditions: Light shade or part-day sun. Woodland edge conditions. Wildlife benefits: “The nectar and pollen of the flowers attract bumblebees, mason bees (Osmia spp. ), cuckoo bees (Nomada spp. ), long-horned bees (Synhalonia spp. ), Halictid bees (Lasioglossum spp., etc. ), Andrenid bees (Andrena spp. ), and other bees. An Andrenid bee, Andrena distans, is a specialist pollinator (oligolege) of Wild Geranium. The flowers also attract Syrphid flies, dance flies (Empis spp. ), butterflies, and skippers.” From Illinois. Wildflowers. From Ottawa Valley or eastern Ontario sources: No. 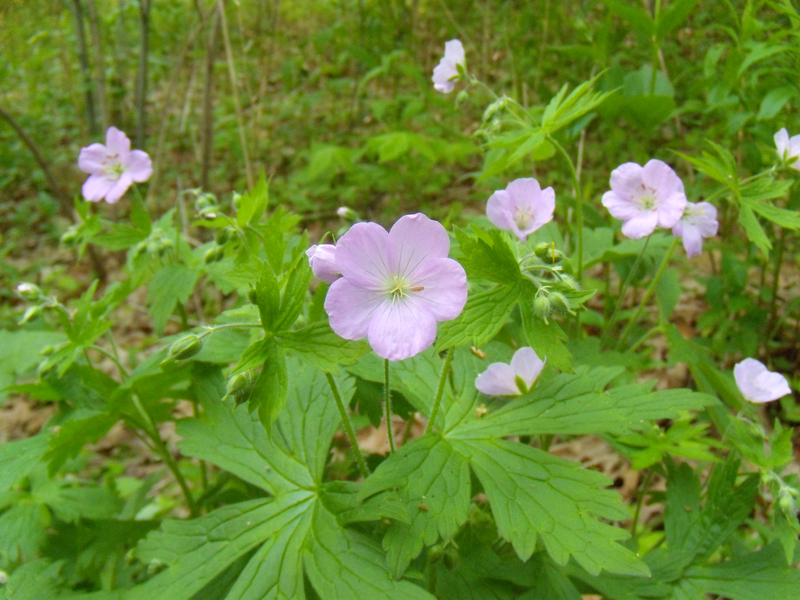 Wild Geranium grows wild in the Ottawa Valley but our seed came originally from the Toronto area. Remarks: Leaves colour beautifully in the fall.